My only complaint is I made the banner flags a little too big for my entryway bench, but these will work great for stretching across a window, a wall, or anywhere that you want to cover a lot of space! 🙂 I may make a smaller version of this if I get requests for it, so if you’d like that, let me know in the comments below! These measure approximately 8 1/4″ long by 7 1/2″ wide at the widest points. Print out all the banner letters. You can print them out on cardstock, or use regular weight printing paper and mount them on cardstock like I did. 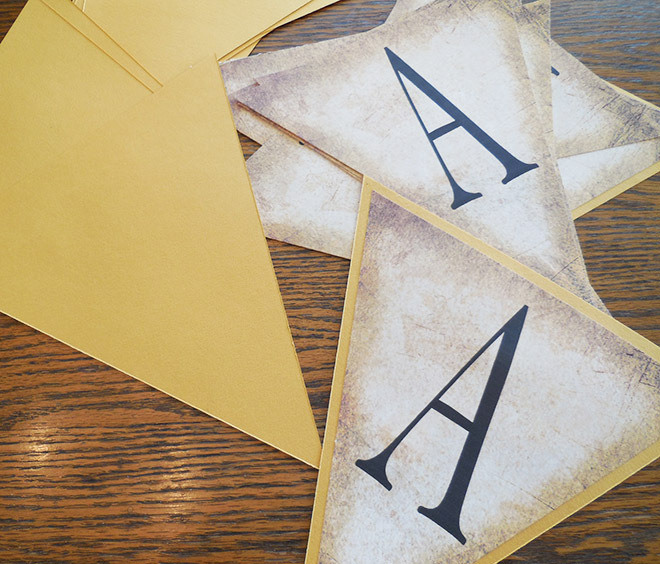 Cut out all the banner letters and the cardstock backing. 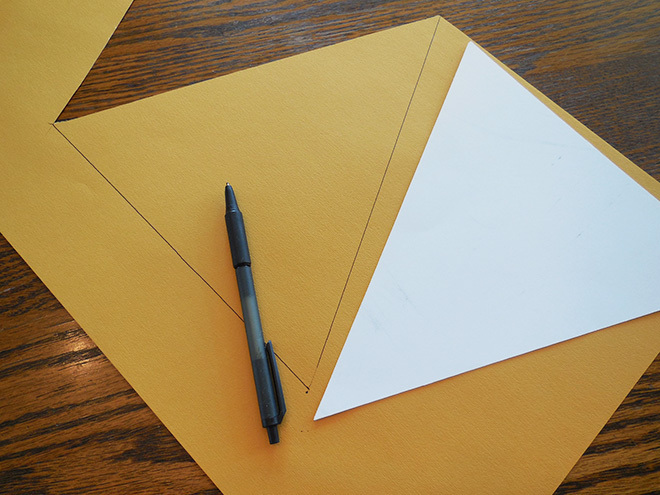 I made a template to measure and cut out the cardstock. 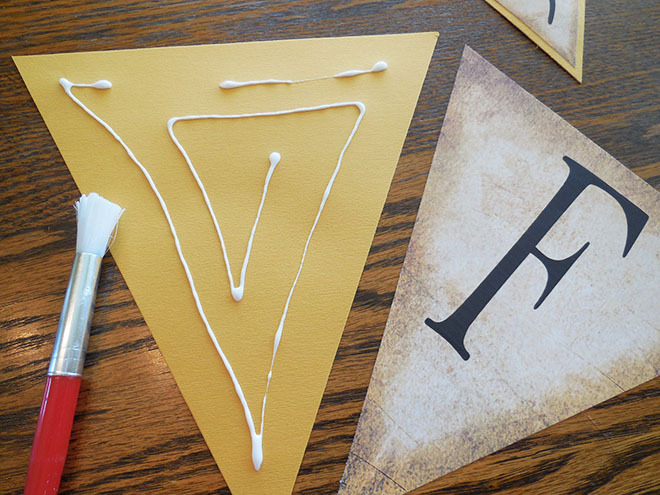 Glue the banner letters to the cardstock with whatever you have on hand. I used Elmer’s glue and a brush to spread it out evenly so I wouldn’t get any bubbles or that wavy paper thing going. Let everything dry thoroughly, then hang them up using whatever you like. I used jute twine and clothespins. Let me know what you think or if you have any questions in the comments sections below! How cute is this! I love when a DIY is super easy to do. 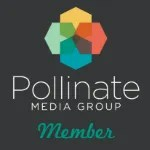 I will definitely have to save this for another get together this Fall! Oh I love this. Thanks for the DIY and the printable. Please come over and link at The Fabulous Fall party. I’d love to try and make one! I’m gathering posts to feature. I’ll let you know when your front and center! Thanks again for sharing. Have a great Friday. Love these!! Thanks for sharing!!! Can’t wait to put them up in my house! This is so cute! I totally love how it turned out! What a cute banner, I’m so ready for fall. Love the printable. Great banner! If you do make a smaller version, I’d love to try it! I love your banner. 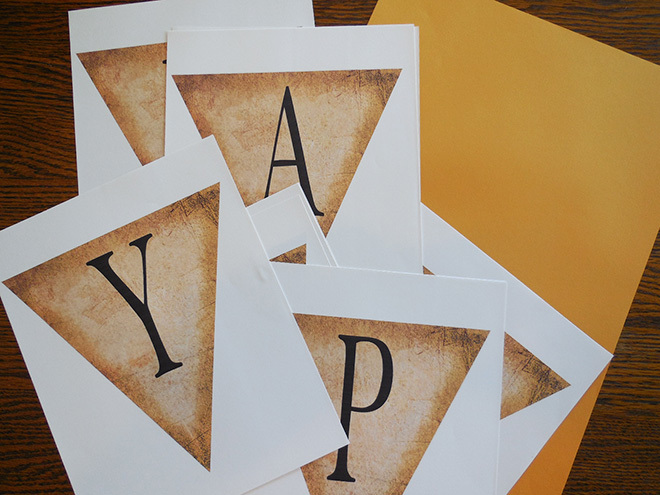 Thanks for sharing the printable and thanks for partying at Snickerdoodle Sunday! Pinned and Tweeted. Very cute! I love how easy these types of banners are. Thanks for sharing at the WWDP! Thank you Nicole! 🙂 And thank you for hosting the link party! 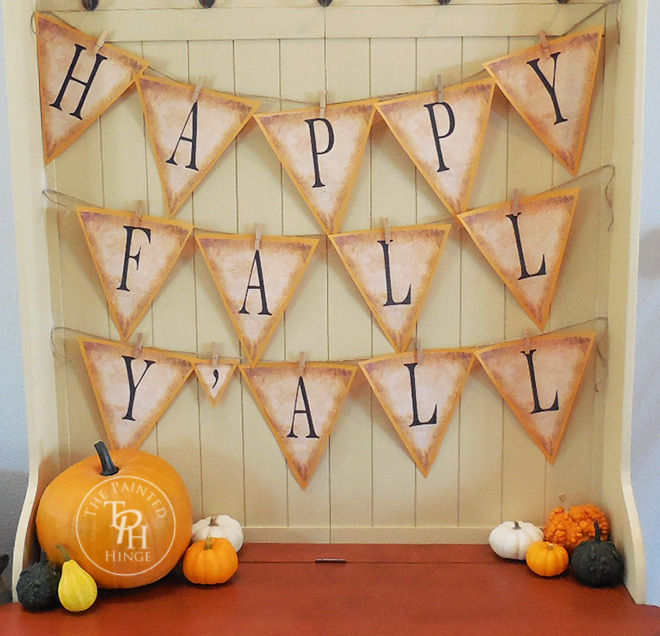 What a cute fall banner thank you for sharing the printable, can’t wait for fall now!! I love these…and will be featuring them tomorrow!! Thanks for sharing on My 2 Favorite Things on Thursday! Hope to see you again this week! Pinned! Thank you so much Elaine! I’m flattered you liked these so much that you decided to feature them! 🙂 I’ll be sure to swing by on Thursday! this banner is soooo cute! if you do make a smaller version I would love it! I have these cute things i made from pinterest that i hang banners on that is on my upright antique piano that they would be perfect for, thanks for posting! Thank you Sarah! 🙂 And I will most definitely stop by this weekend! I love your fall banner! I’m going to print it off once we get home from the cottage. Thank you for sharing this on Finding Silver Pennies! You’re welcome Carol! 🙂 Thank you for hosting the link party!